The Mongoose 70S is a slick youth-sized sport quad comes with serious GNCC and ATV Motorcross racing credentials. Powered by an air-cooled and carbureted 69cc 4-stroke engine, and operated via an easy to use automatic CVT, the chain-drive Mongoose features a single A-arm front and swingarm rear suspension mated to preload adjustable shocks, 16x8-7 front/16x8-7 rear tires, and front drum and rear disc brakes with safety lock. Electric start makes it a cinch to fire up and an auto-stop safety lanyard keeps the fun in check. Additional parental controls include screw-type throttle limiter and CVT collar allows an adult to set speed and power limits to suit their child’s skill and experience. If you are looking for a mid-sized utility ATV that will tow and carry over 600lbs, then the MXU 270 is hands down the value leader in its class. 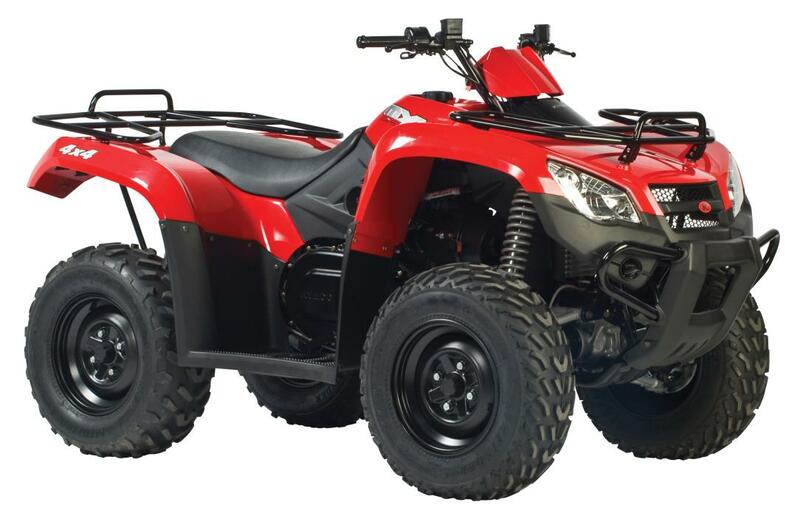 Equipped with a 270cc liquid-cooled & carbureted 4-stroke engine, automatic CVT (F-N-R), dependable shaft drive, dual A-arm front and swingarm rear suspension, preload adjustable shocks, dual disc front and single disc rear brakes, 22" tires and cargo racks both front and back, the MXU 270 is as much fun as it is affordable to operate. KYMCO recommends that all ATV riders take a training course and read their owner's manual thoroughly. Big time 4X4 Utility machine performance in a mid-sized ATV. The powerful SOHC 443cc liquid-cooled EFI engine fires to life at the push of a button with all the power and punch to tackle the most rugged trails and get you through the tightest corners. KYMCO's Automatic CVT transmission with low, high, neutral and reverse gears is easy to operate and puts instant power and torque to the maintenance free sealed shaft final drive. Shift on a fly 2WD to 4WD traction helps conquer even the most extreme off-road conditions while our class leading independent front and rear suspension smooth out the ride. On the job site or riding the weekend trails, this MXU 450i is packed with all the features you demand but, without the price. Increase your ATV's versatility by checking out the line of accessories built exclusively by KOLPIN® just for your KYMCO. 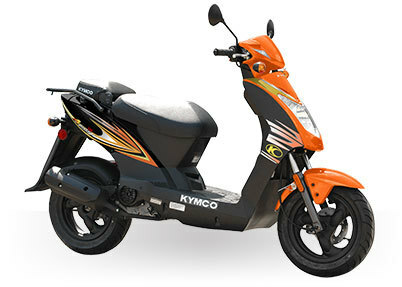 2013 Kymco Compagno 50i, The Compagno 50i offers a popular, classic design with the inner workings of a modern machine. Motivated by an air-cooled 49.5cc engine that delivers enough power to safely traverse the surface streets of any community, and designed with a low 29-inch seat height, this urban commuter should prove a joy to operate for novice and experienced riders alike. The Compagno 50i is available in Black or White, both colors highlighted by silver accents. You're about to enjoy commuting like never before. The Downtown 300i was designed and built for it! With the open road performance of a maxi scooter and sport bike agility, the Downtown 300i delivers the ultimate scooter riding experience. 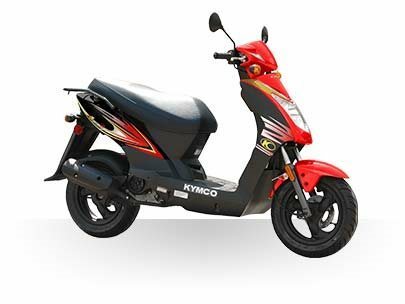 This entry in the KYMCO Scooter family is powered by a 4-valve Electronic Fuel Injected engine coupled to an agile, responsive, lightweight dual cradle steel chassis. The onboard carrying capacity of the Downtown 300i offers all the space you need. A lighted, under-seat storage space is big enough for 2 helmets and a watertight console compartment for cell phone storage, equipped with a 12V accessory outlet for charging your phone, is right at your fingertips, satisfying all your daily commuting needs. Add an optional top case and your daily commuter ride turns into a weekend touring machine. The Downtown 300i: Class leading performance and styling plus great fuel economy too! Get Ready to Be Amazed! After the success of the Like 50 debut last fall, the anticipation of a larger displacement vintage styled option was growing. Welcome the new Like 200i. The perfect combination of classic vintage nostalgia and KYMCO modern technology and reliability is now in a fast, agile mid range displacement scooter. 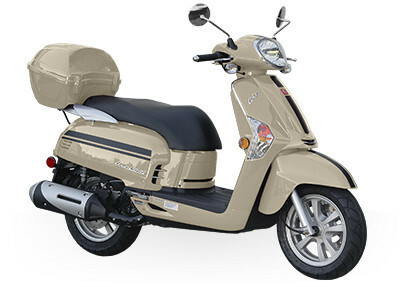 Experience true 2-up performance with a 160cc Electronic Fuel Injected engine. With plenty of underseat storage, along with a color matched top box as standard equipment for groceries and packages, you'll be able to get your errands done and have fun at the same time! Available in three classic colors: Black, Red and Ivory. The Like 200i uniquely blend agility, performance and economy. Now in two engine choices for cruising around the town or sprinting through city traffic. Check out the line of all new accessories for the Like 200i to personalize your ride just for you.  The Agility 50 Looking for an especially fuel-efficient two-wheeler? No worries with the compact and nimble Agility 50. 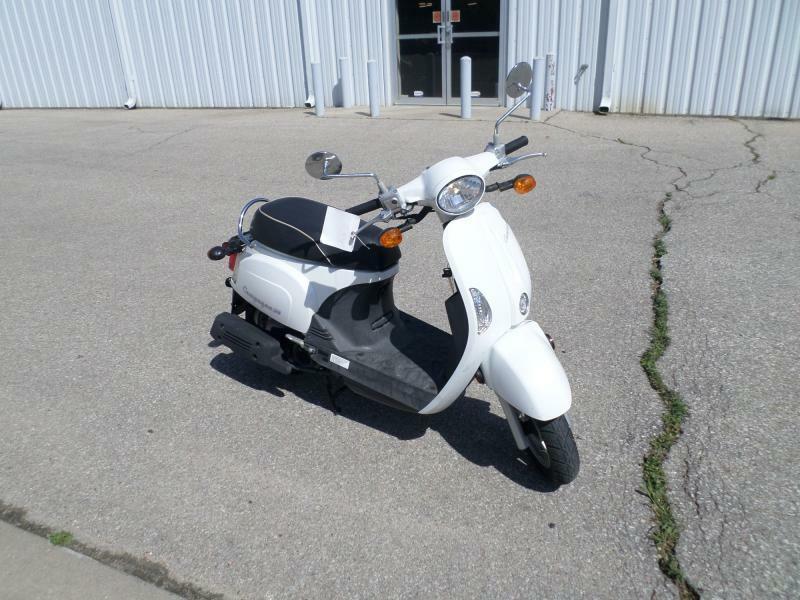 Powered by a 49.5cc SOHC 4-stroke engine, this fun little scooter offers an amazing 95 MPG rating. Check out the convertible buddy seat that doubles as an operator backrest when flipped into the up position. Available in Red, Orange or Blue. Ride with Agility. Are You Ready to Start a Revolution? Ditch the skateboard and riding the bus. No more looking for rides to get to school or to catch up with your friends. 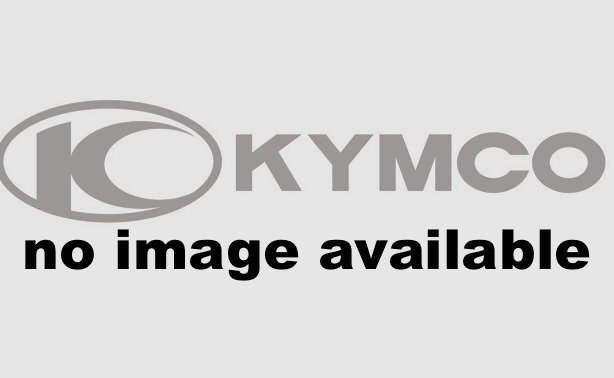 Add some Fun and Independence to your life with the all new KYMCO K-Pipe 125. 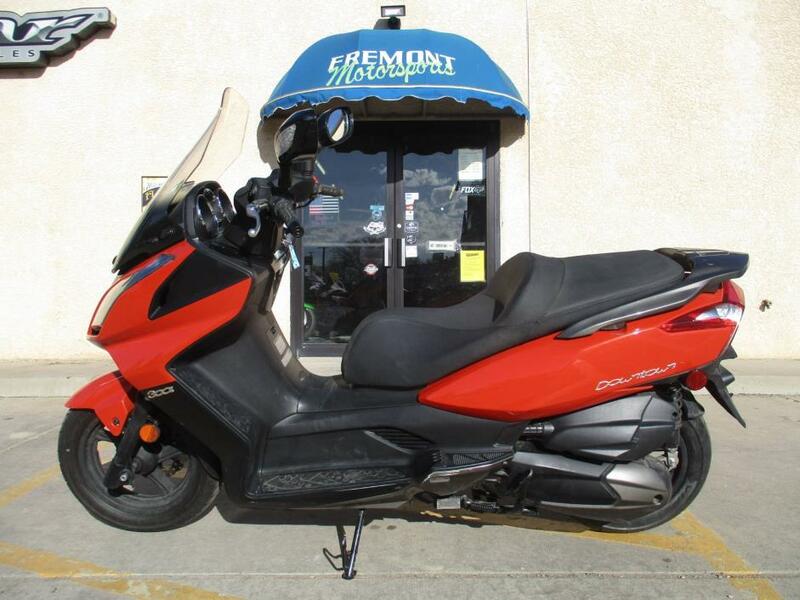 Priced at $1,999 it’s a remarkably economical, fuel-efficient bike to buy and run. 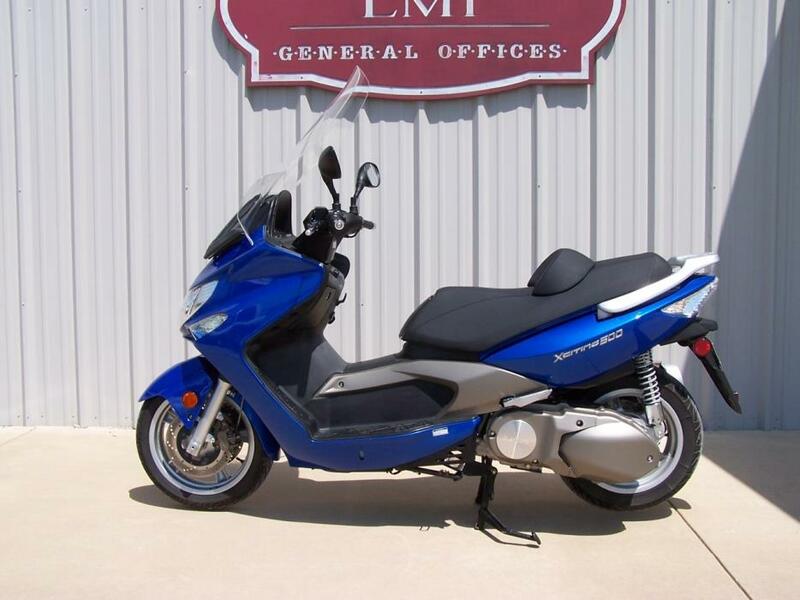 Featuring a low, flat feet on the ground confidence building seat height, low-maintenance, SOHC single-cylinder engine 4-stroke with electric start plus kick start back up makes it a snap to fire up, while the 4-speed transmission gives you the control just like a larger displacement motorcycle. 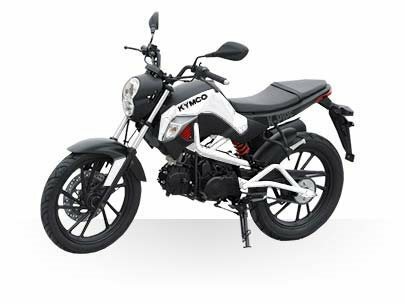 The KYMCO K-Pipe 125 is the perfect choice for a new "entry-level" and experienced riders looking for a flat out inexpensive, practical, fun ride. 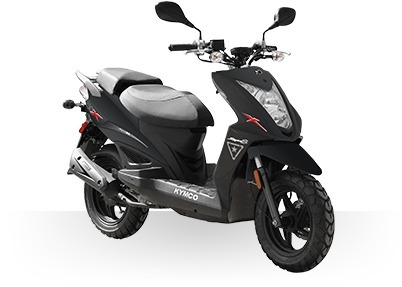 The KYMCO Agility 50 is a quality built entry-level scooter that is unmatched in the industry. 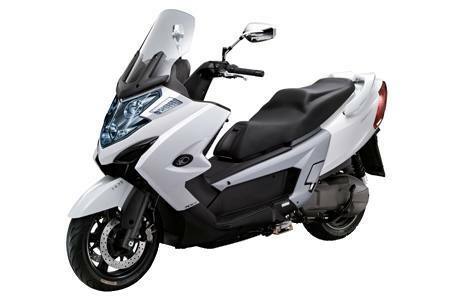 With a smooth, quiet 4-stroke 49 cc engine, front disc brake, low seat height and short wheelbase the Agility 50 creates a riding experience suited for everyone. Check out the convertible buddy seat that doubles as a rider backrest when flipped into the up position. 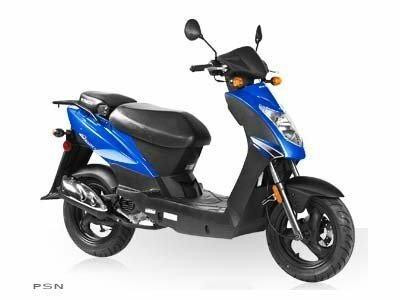 The Agility 50 is a compact, nimble little scooter with plenty of under-seat storage that would make an excellent addition to any garage. 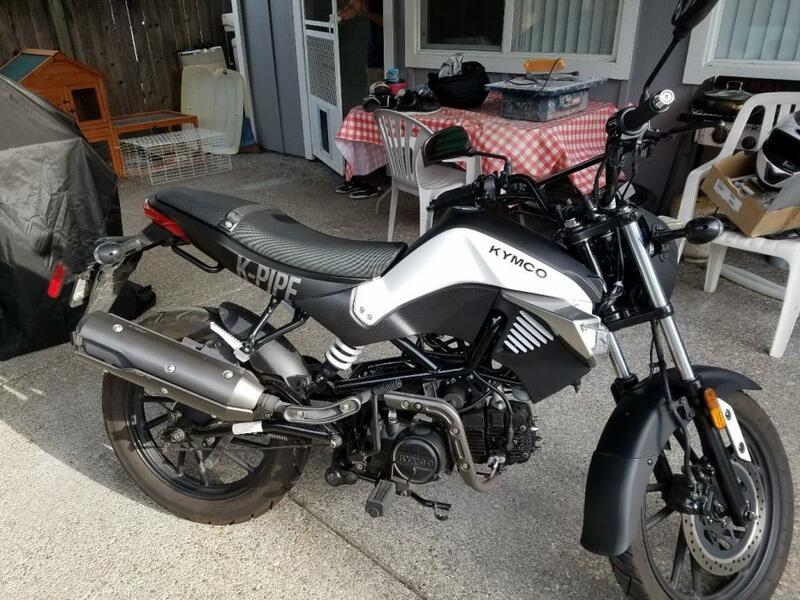 KYMCO XCITING 500 SCOOTER, 5400 MI. Very good condition. This scooter has been used mainly for commuting to work. I have replaced both the front and rear tires abount 1000 miles ago. This scooter runs perfectly. I have bought another bike, and no longer need the scooter, even though I still ride it to work everyday. (Not if it's raining.) I have (2) wind shields. One for winter (shown in pictures) and the stock one (shorter) that came with the scooter. Any questions text me 580-3 two 0- 50four1.